If there every was a film with a message resonant with the Natural Connections Project, this seems to be it. I'll be heading to MIT to see it tonight. I will add my personal impressions later. We’ve lost touch with nature. This disconnect hurts our health, dulls our spirit, and threatens our future. Narrated by Liam Neeson, Love Thy Nature is a cinematic journey through the beauty and intimacy of our relationship with the natural world. And it shows that a renewed connection with nature is key not only to our well being, but also to solving our climate and environmental crises. We’ve lost touch with nature. This disconnect hurts our health, dulls our spirit, and threatens our future. 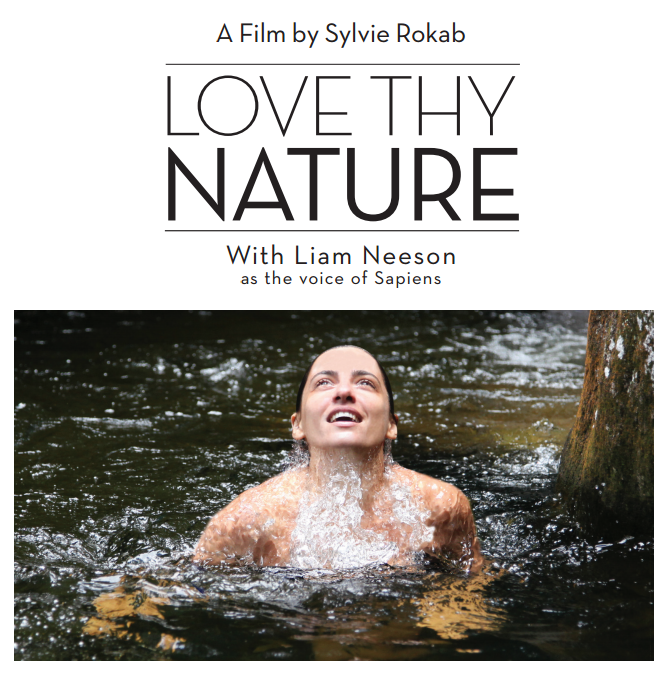 Narrated by Liam Neeson, Love Thy Nature is a cinematic journey into the beauty and intimacy of our relationship with the natural world. With mesmerizing artistry and fascinating details, the film explores how nature nourishes us. Neeson is the voice of Homo Sapiens — our collective humankind — who, in the past few thousand years, has come to believe that we are separate from nature. This mind-set has caused us to disrupt billions of years of evolution, causing a mass extinction of species and threatening the survival of the human race. Love Thy Nature shows that a new era of connectedness with the natural world is key to ensuring our species’ future. This era might just be dawning: A new science called biomimicry taps into nature’s four billion years of R&D for some of the most brilliant cutting edge inventions, pointing to a new highly advanced technological age — The Biological Revolution. 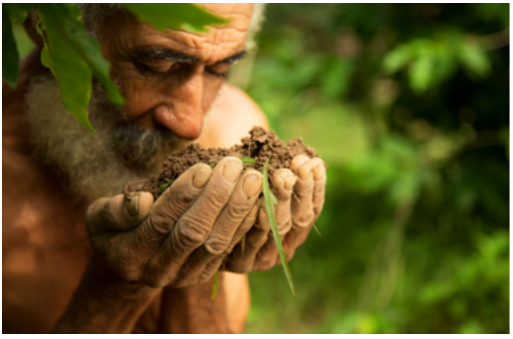 In the medicine, doctors are unveiling new findings on the role of nature in sustaining and healing the human body. And experts have discovered that just spending time in nature promotes healing, emotional stability, connectedness, and even neurological health in children. Through Sapiens’ journey, the film reveals how a relationship with nature ignites a sense of meaning and wonder so profound that it touches us at the very core of what it means to be human. Traversing the globe, Love Thy Nature shares the dazzling spectacles of our planet while revealing how a deeper connection with nature transforms us as people and communities. And that transformation inspires us not only to restore our ecosystems, but also our human family, and ourselves. Subscribe for notification of new content. Easy to unsubscribe, if you change your mind. The mission of the Arlington Natural Connections Project is to promote a sense of connection to the natural world at the local level by combining an artistic and natural science approach. The Arlington Natural Connections Project started as a personal "hobby". Each month I collected a few elements from the natural world - leaves, flower petals, small branches, bark, rocks - and then put them together in a collection for display in my home. I was amazed at the beauty and variety of natural objects that I found, at all times of year. This was a lot of fun, and provided a sense of connection, calm, center and abundance within an ever-changing world. I wanted to expand this, and share it. In Fall 2007 I saw that the Arlington (MA) Cultural Council was accepting grant applications for Arlington-based projects in the Arts, Humanities and Interpretive Sciences. My idea was to encourage individuals and families to create displays for their own homes, and to take the project to a community level by creating seasonal displays with contributions from many, and exhibiting them in a public place. This program was funded in part by a grant from the Arlington Cultural Council, a local agency supported by the Massachusetts Cultural Council, a state agency.